Finding new prospects is the lifeblood of any real estate practice. Along with converting prospects to clients, lead generation is probably the most profitable task you can factor into your schedule. It’s not an understatement to say that strong lead generation skills mean the difference between success and failure in the real estate market — just ask the hundreds of thousands of former real estate agents who fell by the wayside in recent years. A solid lead generation program can help you increase your marketing power and create a steady stream of clients who convert into satisfied customers. Think of lead generation as a continuous cycle that should be planned and adjusted, rather than a single event. Here are three proven strategies you can implement to add potential sellers to your sphere of influence. Keeping in touch with past clients is essential to a strong lead generation program. Are your past clients going through a life change that will affect their housing situation? Are any of them looking to downsize? Have they welcomed a new addition to their family? Reach out to let them know that you’re available to help with their housing needs. Stay in touch by creating direct mail with simple calls to action like, “How much is your home worth?” While we’re often bombarded with online messaging, direct mail can help you stand out to consumers. Receiving one or two inquiries from these pieces could cover your marketing costs while connecting you with new clients. Even though consumers have access to many online tools to help determine their home value, it’s important to show them that only a real estate professional can provide accurate pricing data. Whether your niche is based on geography or your expertise, it’s important to identify your ideal “farm.” When you’re looking for the best area to farm, focus on one market from which you solicit the majority of your business. You’ll be able to establish brand identity in this particular area and develop relationships with those living in the community. Before you begin “farming,” it’s important to select the right location. If you’re looking to farm by geography, map your previously sold properties so you visually see where you’ve made a real impact. In doing so, you’ve created a wonderful marketing tool to share, as well. If you’re trying to work a niche, look for homes that would fit within your expertise — “beachfront properties,” “luxury real estate,” etc. Knowing people in your target community gives you an “in” with similar potential prospects. If they know you’ve successfully sold property in their area, they’ll have more confidence in you. Additionally, it’s a good idea to select a territory where the annual turnover is more than 6 percent. If the turnover is lower than 6 percent, you’ll probably have a difficult time finding enough listings to market. Finally, consistent marketing is key. Be present in the community, whether geographic or niche, and make a commitment to it. Brand yourself in your farm so your target market recognizes you as their real estate expert. If you have difficulty prospecting, hosting a “home preview” creates a situation where people can come to you for information. Rather than immediately posting a new listing in the MLS, wait a few extra days and invite the neighbors for a private event to preview the home before opening it to the general public. In doing so, you’ll be able to establish a relationship with other homeowners in the neighborhood, while showing them your familiarity with their location. While attending this home preview, neighbors will be curious to find out how much their own home is worth. Create cards with messages like “how much is your home worth” or “knowledge is power” and distribute them to guests to direct the communication toward selling opportunities. Hosting a home preview is an ideal way to connect with potential sellers in a specific market, all while branding yourself as their neighborhood expert. Create a customer for life by providing valuable insight on the local housing market. When meeting with sellers, most agents will be able to tell their clients how much their home is worth. Take it a step further and provide your clients with a CMA and the most recent Local Market Report for their area. Keep in mind that the key thing sellers are interested in is the value of their home. Tailor your marketing to this point and you’ll catch your prospect’s attention by responding to what they want to know. Top-producing agents and brokers know they must have a strong branding presence in their local market to consistently achieve results. Although the market is constantly changing, the need for a solid lead generation and branding program remains a necessity. Through Homes.com’s Local Ads, you can brand yourself as the local expert in your market area, giving you the opportunity to demonstrate your neighborhood influence to potential buyer and sellers in your community. Featuring hues reminiscent of languid summer days and breezy seaside vacations, this summer’s hottest color trends run the gamut of eye-catching bolds to grounding neutrals, say Ace Design Experts Katie Reynolds, Julie Richard and Nathan Fisch. • Paint your kitchen island for an updated look that’s easier than repainting your cabinets. A classic neutral, like a subtle gray, will pair nicely with most woods and finishes. • Classic stripes continue to be a staple in many homes. Try painting them on a pair of oversized outdoor planters in a sunset-inspired combination of apricot orange and shrimp pink. • If you’d like to incorporate one of this season’s pastel trends, such as peach, but are afraid of pulling it off, try balancing it with a complementary hue like classic navy. • Graphic patterns and details are an easy way to make a big change. Add a pop of color stenciled in a chevron stripe on drawers of a basic white dresser with a Camellia blossom pink. • Layered warm neutrals never go out of style and work equally as well in open floor plans or cozy nooks. Try using a darker neutral on the walls and ceiling, such as vanilla, and furnishing with a paler hue, like linen, for a fresh feel. • Try a fun color pairing for a guest or kids room by painting a focal window wall in a brighter green (think green tomatoes) and then adding a muted green (think moss) on the window base. • Deep blues and indigos like navy and blueberry are great go-to colors for a monochromatic color scheme inspired by the ocean. Simple and natural accents like stone top tables, linen or woven window coverings polish the look for a clean aesthetic that won’t fade over time. • Combine a warm neutral, like honey, with a blush pink in a nursery or girl’s room for a soft look reminiscent of the flowers blooming outdoors. • Shiplap wall paneling, featuring horizontal, overlapping wooden boards covering the walls is the perfect way to bring a nautical feel to any space. Try painting the wood in a crisp, snow white to make this architectural detail the feature focus. For Sale by Owner: Is the Juice Worth the Squeeze? Many sellers weigh the option of whether to use a Realtor, or take on the daunting task of selling their property on their own. Real estate transactions involve one of the biggest financial investments most people experience in their lifetime. With a small upside cost and a large downside risk, it is foolish to consider a deal in real estate without the professional assistance of a Realtor. While some homeowners decide to list their home “For Sale by Owner” in an attempt to save money, many actually end up spending more than they would have paying the 3% commission to a listing agent. After all, on average, an agent spends $1,000 on marketing initiatives for each listing alone. Aside from the marketing expense, they also are familiar with the most effective platforms to market their listings so that they sell at their most profitable price as quickly as possible. In addition, sellers lack the expertise required to effectively price the home and negotiate with buyers, which could be even more costly. In summary, real estate professionals assist sellers with the pricing, marketing, security, negotiating/renegotiating, and the closing of their home. If you are considering listing your home “For Sale by Owner”, it is imperative that you are aware of the pros and cons and understand all that you are potentially sacrificing by forgoing representation of a seasoned professional. In all honesty, pricing a home is probably THE most important marketing strategy, as it is essentially the most critical factor that draws in buyers or turns them away. A home that is not priced competitively may result in a longer time on the market, price reductions, and a lower selling price than it would have had if it were priced correctly in the first place. Real estate professionals guide clients to make the right pricing choice based on the key factors in selling the property. They know the most current sales information in your neighborhood, including current listing prices, physical property conditions, financing terms, and other relevant data. In addition, they provide the average square foot costs of similar homes, median and average sale prices in the area, the average days spent on the market, and the ratios of list-to-sold prices in order to price your home at its most competitive price. Homeowners who choose to list their home themselves do not have the tools, knowledge or experience to know what price will move the home quickly, which can be more costly than anything else. 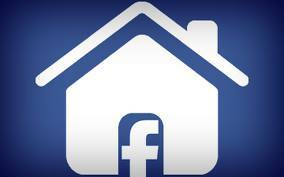 Real estate professionals also help market your home to other real estate agents and to the public. The choice of media and the frequency of advertising depend a lot on the home and specific market. A qualified real estate professional will know when, where, and how to advertise your property effectively. Plus, their industry contacts and networks provide a marketing outlet that sellers simply don’t have. Aesthetically improving a home is another marketing tactic that real estate agents bring to the table. Often times, listing agents also work with buyers, so they know what features buyers are looking for in their home! This is a huge benefit to sellers, as listing agents will often recommend specific improvements, updates, etc. that will make the home more “marketable” and ensure it is more appealing to prospective buyers. Staging a home is another important aspect of marketing a home. A real estate agent knows how to make the rooms look bigger, create an inviting ambience, enhance curb appeal, and highlight the most desirable qualities so that your home leaves a lasting impression after showings and open houses! Not to mention, the same staging techniques can be executed for listing photographs, videos, etc. After all, a picture is worth a thousand words, so displaying high quality, eye-catching photos online is one of the most powerful, if not THE most powerful, component to marketing a home! 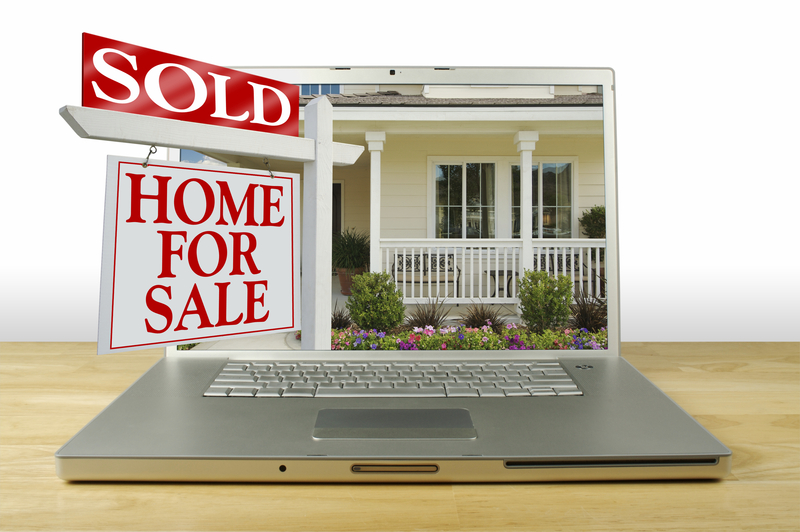 The power of the internet can be a blessing and a curse to home sellers. Sure, you have a platform to maximize exposure of your property and reach more buyers (most of which start their home search online), but it also puts you at risk for the growing number of threats and scams circulating the internet, many of which target “For Sale by Owner” listings or rental properties. Realtors help keep sellers secure. Real estate professionals are committed to treat all parties of a transaction with honesty and subscribe to a strict code of ethics. In addition, they are expected to maintain a higher level of knowledge of the buying and selling process, which includes identifying potential threats and handling them accordingly before their client ever becomes aware of the problem. Keeping your family and home physically safe is probably the utmost concern to home sellers. After all, countless strangers will enter your home and explore its rooms, amenities, and features during open houses and showings. Without the proper training, knowledge, experience, and tools, you are not only more likely to unknowingly allow the wrong person into your home, but also to be ill-prepared in handling a threatening situation if it presents itself. However, real estate agents who are trained on safety know the necessary precautions to take to keep themselves, your home and family safe. Not only do they manage open houses and showings, but they also prescreen prospects and filter phone calls to eliminate potential danger. As a result, homes that are advertised as “for sale by owner” are more susceptible to both being targeted by – and falling victim to – these criminals. The power of effective negotiation skills can make all the difference in the world to delivering the most favorable outcome! A Realtor objectively evaluates every buyer’s proposal without compromising your market position. If bid proposals are outside of the listed price, the real estate agent will devise an in depth analysis of the current market, advise their client on how to proceed based on what choices are available in the market, and mediate on the seller’s behalf until they are satisfied with the terms of the contract. Keep in mind, the initial agreement is only the beginning to a long process of appraisals, inspections, and financing. A Realtor can help write a legally binding, win-win agreement that will be more likely to make it through the process. Between the initial sales agreement and the closing agreement, questions may arise. Unexpected repairs are sometimes required to obtain financing, or a concern with the title could potentially be uncovered. A real estate professional is the best person to objectively help you resolve these issues and move the transaction to settlement. In addition, a real estate professional will coordinate the process of inspections, appraisals, and financing. They stay on top of contingency dates, process the required paperwork and documents, scrutinize every file, and most importantly, make sure their client is protected at all costs. All of these combine to prevent closing delays and ensure a smooth, pleasant experience from beginning to end! If you are still considering listing your home without the help of an experienced Realtor, there are a few recommendations that will help you avoid some of the common pitfalls that most sellers make. Hire an attorney to review all documents before you sign them, invest some time and money into marketing your home, research your current market prior to determining the listing price, pay someone to come stage your home, hire a professional photographer, and contact your local police department for safety tips!